Bringing in the New Year with a portrait displaying one of my favorite portrait techniques. The glow which accents the bride's beauty. The uplighting which helps frame the bride within the beautiful staircase is made possible by Otto Productions. 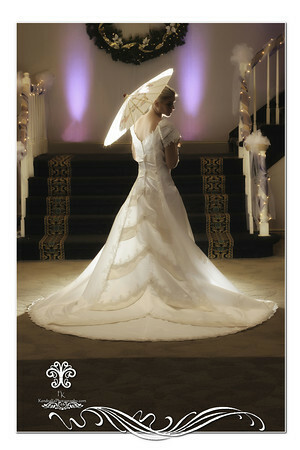 The image was taken at The Fez Banquet Center in Hopewell Twp,PA which is the home of an upcoming Bridal Show. Visit our booth at the upcoming Bridal Show to book your wedding photography.